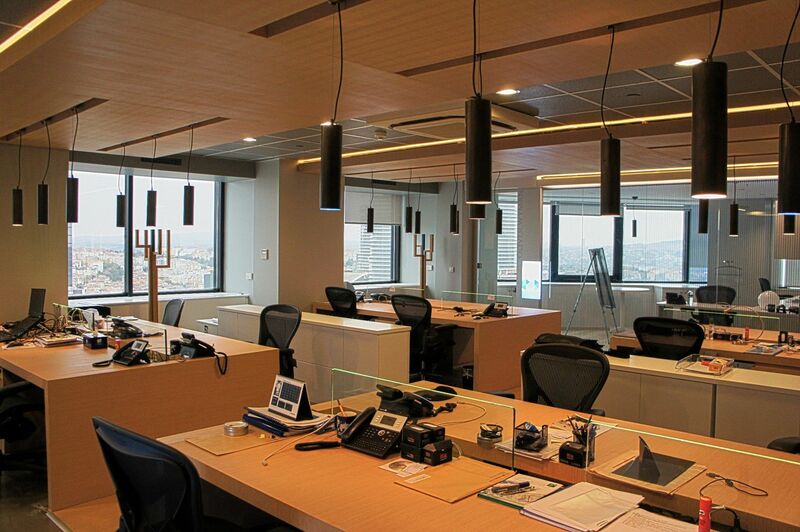 The project was to redesign the Istanbul headquarters of this financial consulting firm. The floor plan includes an open office space for employees, partner rooms, meeting rooms, a kitchen and a recreation area. 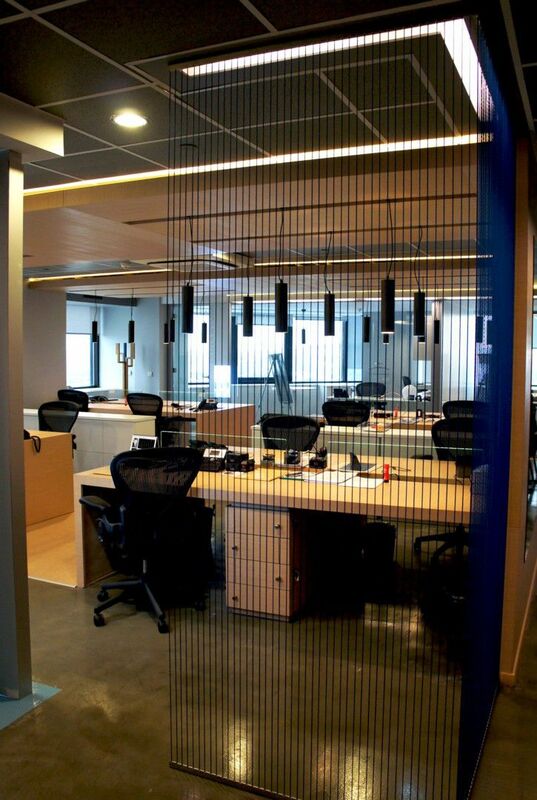 Custom made multi-user workstations and blue rope separators define the open space. In this area one can also see the custom-made lighting fixture. 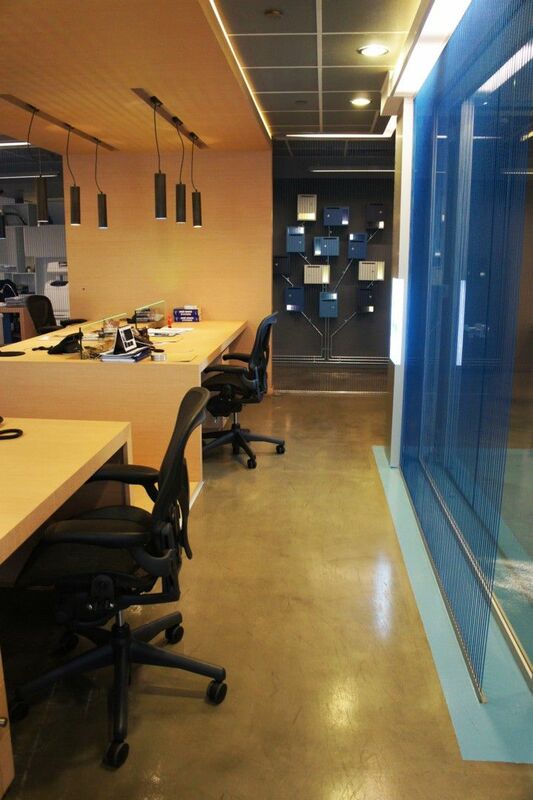 Blue, which is the color of the corporate identity, is used in various spaces and on different forms. One of the design features is a mailbox unit that has separate sections for each employee. 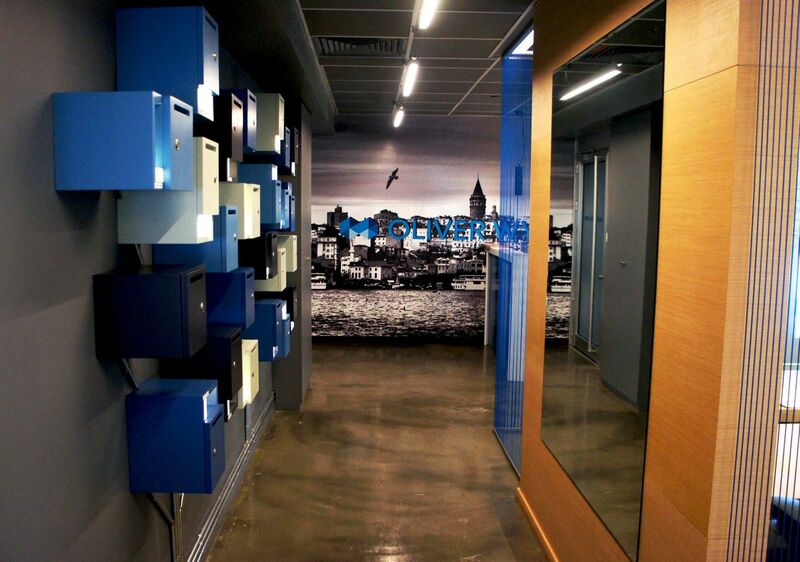 “Pigeon hole,” as the company calls it, decorates one of the walls next to the entrance whilst the adjacent one is covered with a large photo of Istanbul and the logo.